Cruising is becoming more and more popular and cruise lines are ordering new ships faster than the shipyards can build them. But while each new ship offers more innovative features and smart technologies than before combined with an array of world-class entertainment and voyages to the most beautiful spots on earth, one constant remains: food. But what exactly is needed to make sure all passengers can enjoy a culinary experience on a week’s cruise? MSC Seaview, the newest ship in the MSC Cruises fleet, for example offers guests a total of 10 restaurants, including the American steakhouse Butcher’s Cut, top chef Roy Yamaguchi’s Asian teppanyaki grill, the luxurious seafood restaurant Ocean Cay by Ramón Freixa and two buffet restaurants, which are open 20 hours a day. When all of Seaview’s cabins are occupied, meals are prepared for over 4,000 guests on board – virtually around the clock. 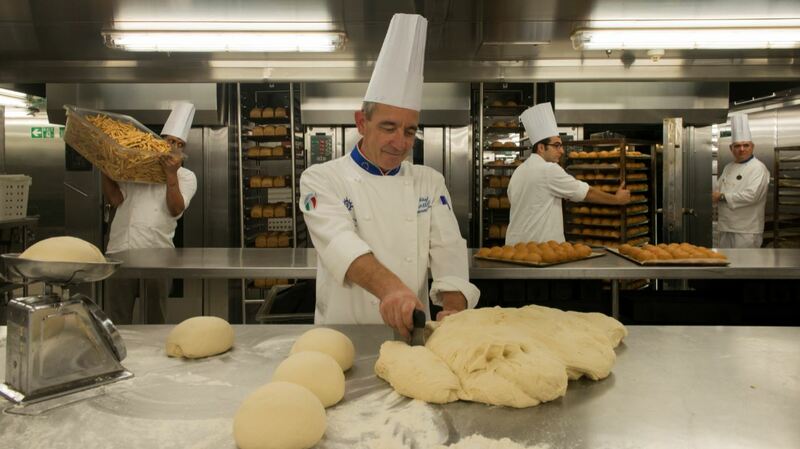 During a week at sea, the 150 cooks on board process 5,000 packages of flour per day to make fresh baked goods, such as breads and cakes and of course pasta and pizza. For the pasta and pizza they use a large part of the tomato sauce – 1.9 tons, and a large portion of the 2.6 tons of cheese which are delivered to the ship on a weekly basis. But also fruits and vegetables as well as seasonal dishes are very popular. 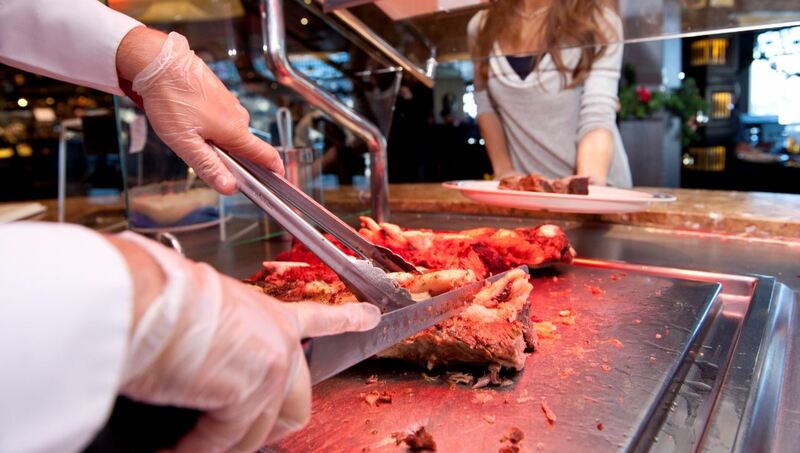 Every cruise guests consume some 50,000 kilos of fruit and vegetables, while kitchen staff prepares almost five tons of meat and more than 40,000 eggs. But not only the cold rooms and storerooms of the kitchen are filled at the beginning of each cruise. If you eat well, you also want to enjoy a good drink. Every week more than 16,000 bottles of wine and beer are consumed. And, as no Italian cruise ship would be complete without a fair choice in ice cream, a portion of the 7,700 liters of milk is used to produce about 20 varieties of ice cream. Bon appetit!